Remote unit has a built-in 4-port USB hub. 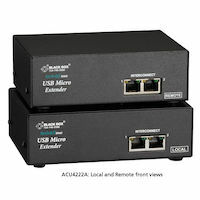 Standalone remote unit works with our CAT5 KVM Extender Hubs. Kit includes a local and a remote unit. 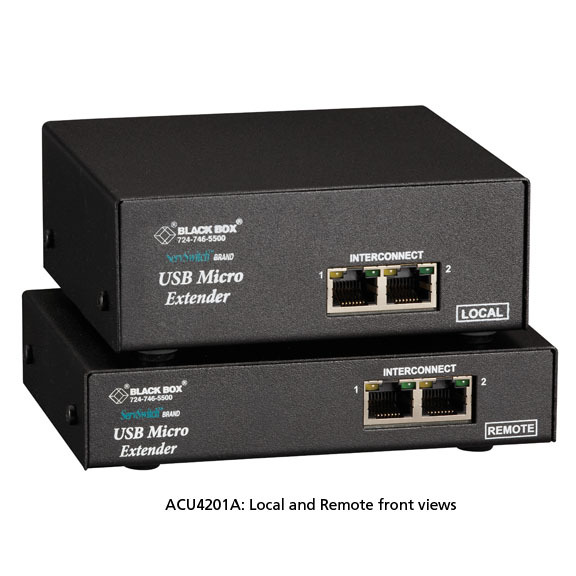 Our ServSwitch USB Micro Extender Kit, Dual VGA, enables you to place your workstation up to 164 feet (60 m) away from a server a USB keyboard and mouse console. The extenders transparently send VGA and USB 1.1 signals over CAT5/5e/6 cable. And with up to 1600 x 1200 resolution, you get sharp, clear video, even on large monitors. A 4-port USB hub built into the USB remote unit enables you to connect USB 1.1 devices such as memory sticks and PDAs in addition to the keyboard and mouse. 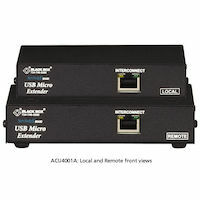 The ServSwitch USB Micro Extender Kit, Dual-VGA, supports two monitors at your local workstation. The additional VGA signals runs over a second CAT5/5e/6 cable. 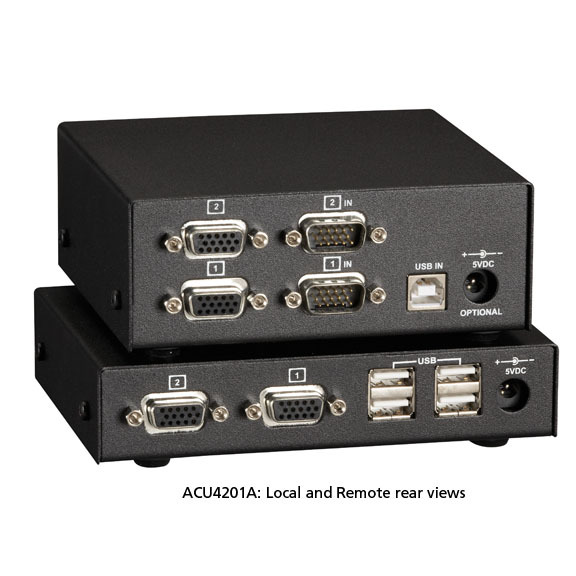 The extenders are flash upgradable and provide local passthrough for video signals so you can connect a local VGA monitor for administration. The KVM Extender Dual VGA USB HID CATx Dual Access comes with a standard 1 Year Double Diamond™ Warranty (Standard) already included.